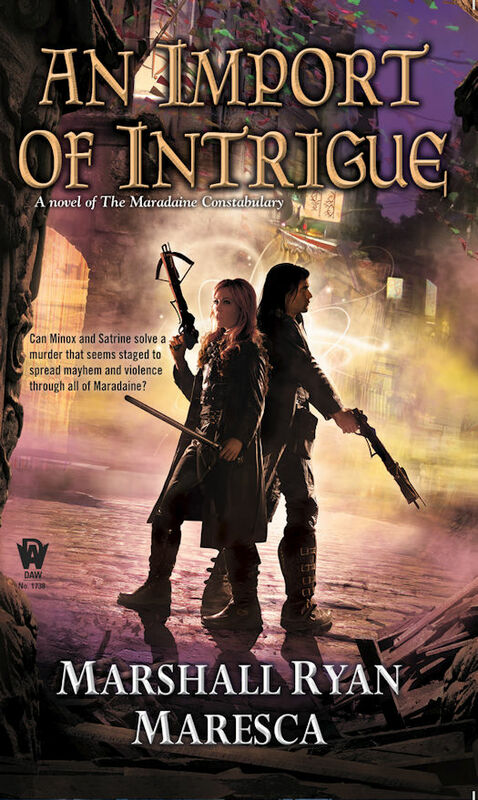 So, An Import of Intrigue comes out in six weeks, give or take a day. And in addition to the anticipatory posts like here and here, there's already been some ratings and reviews. "I went into the sequel with reasonably high expectations. In short, this sequel matched my expectations, and more." That's from Chris Meadows at SF&F Reviews, and that is a lovely start to the reception for Import. I know some writers say they can't read reviews or don't care, but I personally think it's important, especially early on, to gird yourself toward how things will go. The initial responses have me optimistic that it's going to be a very well received book, especially by fans of A Murder of Mages. 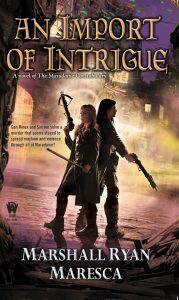 And if you haven't read A Murder of Mages, well, here's your chance to get on that before Import comes out. And, of course, pre-order Import. We've got a relatively exciting plan for the release of Import, including quite an extensive blog tour. So keep your ear to the ground.